The Philosophy of Art is a highly accessible introduction to current key issues and debates in aesthetics and philosophy of art. Chapters on standard topics are balanced by topics of interest to today's students, including creativity, authenticity, cultural appropriation, and the distinction between popular and fine art. Other topics include emotive expression, pictorial representation, definitional strategies, and artistic value. 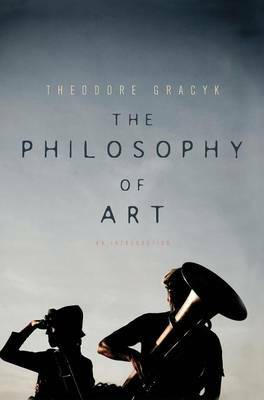 Presupposing no prior knowledge of philosophy, Theodore Gracyk draws on three decades of teaching experience to provide a balanced and engaging overview, clear explanations, and many thought-provoking examples. All chapters have a strong focus on current debates in the field, yet historical figures are not neglected. Major current theories are set beside key ideas from Plato, Aristotle, Kant, Marx, and Hegel. Chapters conclude with advice on further readings, and there are recommendations of films that will serve as a basis for further reflection and discussion. Key ideas are immediately accompanied by exercises that will test students' reactions and understanding. Many chapters call attention to ideology, prejudices, and common clich s that interfere with clear thinking.